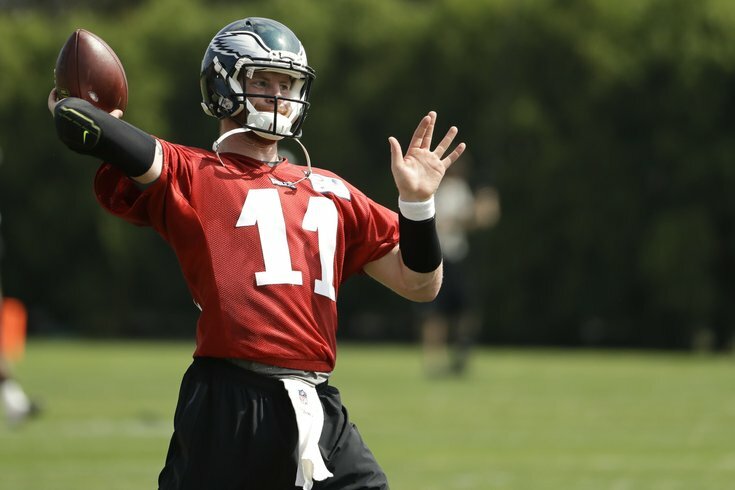 Doug Pederson says Carson Wentz's release can be long at times, but doesn't think it's slow. So apparently Carson Wentz has a slow release, and the Cleveland Browns plan on taking advantage of it this Sunday at Lincoln Financial Field. Browns rookie edge rusher Carl Nassib had some things to say about Wentz, via Mary Kay Cabot of Cleveland.com. With a hairline fracture of the rib, Wentz might not run as much as he would normally, Nassib said. "He's a dual threat, but I heard he's a little banged up right now, so I doubt he'll be running the ball very much,'' he said. He said he plans to run after him as much as he can. "We'll see who gets tired first,'' he said. Nassib and Wentz faced each other every day during the week of practices at the Senior Bowl, so it's not as if Nassib is completely unfamiliar with Wentz, and certainly he's watched Wentz all week on film. Personally, in watching Wentz's college games, I thought that Wentz's release was a strength, at least for a guy who is 6'5. Doug Pederson did acknowledge that Wentz's throwing motion was something the Eagles have worked on. "We're worked on his feet, we've worked on a little bit of the upper body mechanics, we don't feel like it's a slow release," said Pederson. "It can be long at times because he's such a long guy. It can be Colin Kaepernick-long at times. But anticipation, throwing the ball on time, can help that process, get the ball out of his hand fast. The design of the play can get the ball out of his hand fast. It's nothing that we've spent a lot of time addressing with him, more than just working on his feet and his mechanics."